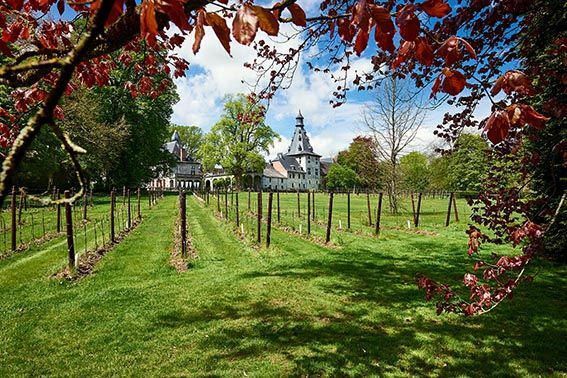 Nestled in the heart of the "Historic Vignoulle" of Bioul, in the valley of la Meuse, the Château de Bioul is a beautiful love story between its heritage and its 11 hectares of vines. 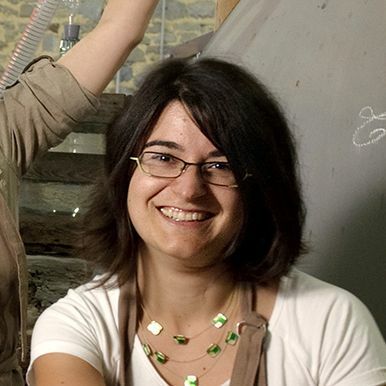 Our discovery tour "Made in Bioul"
Discover our white, rosé, red and champagne ! 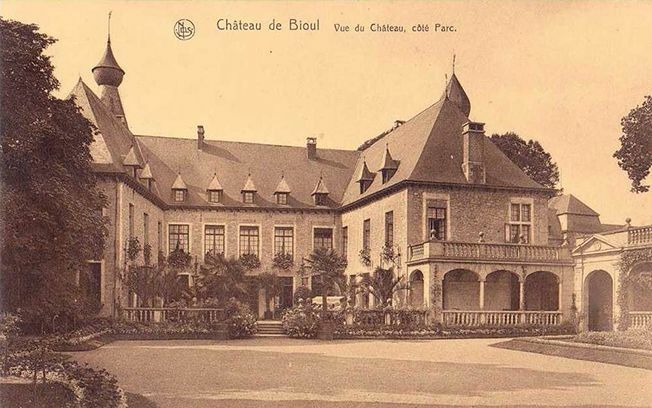 From the 11th century to the present day, the Château de Bioul knew various fortunes: it witnessed several wars and passed through many hands. Dilapidated under the occupation of the Jauche family who mortgaged it to face financial trouble, it was burnt in 1554 by the troops of the French King Henri II, after which the family de Brandenbourg would turn this historical castle into a prestigious residential mansion. A few centuries later (1860 to be exact), Francois Vaxelaire, from Wiesembach in Lorraine, arrived in Belgium, where he founded the department store "Au Bon Marché". He begun by renting the Castle of Bioul in 1896, then acquired it in 1906 and carried out great development works. A family, a motto: "In Arduis Constans"
Today, the family Vaxelaire still occupies the premises and ensure its preservation. 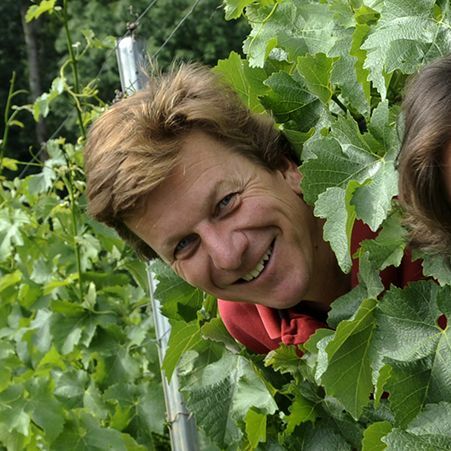 The idea of taking over a vineyard was a dream that we kept for the older days, until the day we discovered Belgian wine! Then everything changed: we left Brussels to settle in the immediate vicinity of the family Castle. After a careful study of the available wine lands, we planted our first vines in Bioul and more specifically in the "Vignoulle», a hamlet with a rich wine history. In addition, they are perfectly adapted to northern climates and allow us to avoid chemicals. And in 2019, we will receive our organic certification. 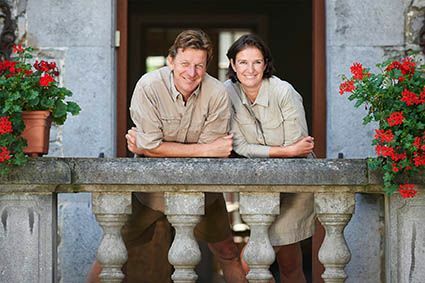 Our "know-how" is based on respect for nature and tradition. Like all enthusiasts, we want the best: the best grapes, in the best conditions and for a better environment! The vineyard is located on the best slopes of Bioul. These are clay-limestone in nature and are crossed by a plate of carboniferous shale. The composition of the soil, water flow and exposure are all elements that contribute to the notion of Bioul terroir. Each plot is worked, not systematically, but according to its needs. 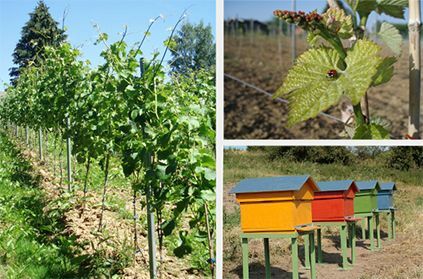 Canalised grassing, hedges, low yields, a lost vegetable garden, hives in the heart of the vines, perches for raptors... are a range of approaches that we have put into practice to develop biodiversity. These guarantee us a grape rich in aromas, without pesticide residues and of a unique and exceptional typicity! It is undoubtedly me who will make you discover our vineyard, offer you a tasting and help you in your purchases, just how my great-great-grandmotherdid. I look forward to welcoming you and introducing you to our more than 120-year history! Cellar master in Belgium, I would never have believed it! 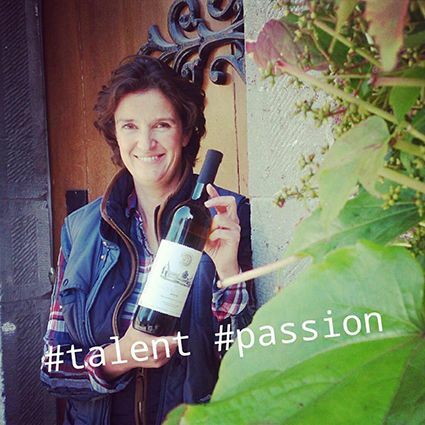 We attach a lot of importance to our relationship with our ambassadors, partners, wine merchants and restaurateurs. 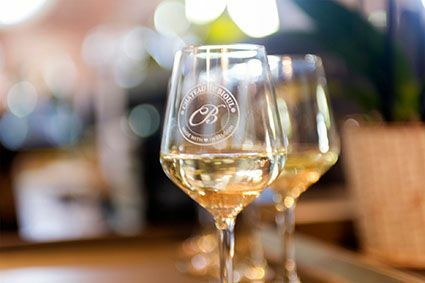 They have all our confidence to help you discover our different wines within your region.